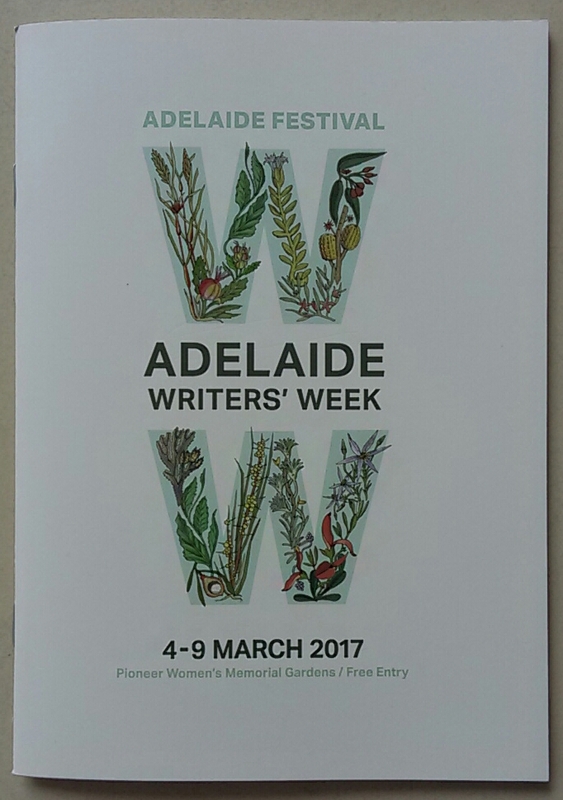 Adelaide’s Writers’ Week kicks off this Saturday with an impressive program full of all things literary, so there’ll be something for everyone. Held in the Pioneer Women’s Memorial Garden, there’ll be a plethora of poets, novelists, playwrights, historians, biographers and memoirists, all genres to captivate and challenge the crowd. Notable events are; Mike Ladd chatting about his recent collection of poetry, Invisible Mending, published by Wakefield Press; an interview with Ken Bolton, ‘a laconic and discursive poet’, aswell as art critic, editor and publisher; and the coveted poetry readings presented by Peter Goldsworthy, with a stunning line-up. Jan Owen and Cath Kenneally, stalwarts of the South Australian poetry scene, are joined by Steve Brock, Jules Leigh Koch, Louise Nicholas and Dominic Symes. Jules and Louise I know well and are incredibly talented poets; Jan I’m learning an invaluable amount from through her monthly workshops; Cath and Steve I’m still relatively new to their work; and Dominic I believe is an up and coming poet, one to watch. Unfortunately, however, I’ll be en route to New Zealand to explore the South Island so will miss the entire week! Note to self for next time – avoid holidays in March.